As a legislator, Scott Schwab supported Secretary of State Kris Kobach’s successful efforts to give Kansas some of the nation’s toughest voter identification laws. When Kobach ran for governor this year, he endorsed his fellow conservative Republican as a replacement. Yet as Schwab prepares to take over as state elections chief in January, he promises to be less colorful and more focused on nuts-and-bolts administrative details, such as making sure county officials apply standards consistently when reviewing questionable ballots. Kobach first won the office in 2010 on a platform of rewriting state election laws, while Schwab believes he prevailed this year by pledging to make the office less visible. “People want things to calm down,” Schwab, a Kansas House member from Olathe, said in an interview with The Associated Press. Schwab has broken with Kobach by endorsing a proposal from Attorney General Derek Schmidt, another Republican, to strip the secretary of state’s office of its authority to prosecute election fraud cases. Kobach, an attorney, persuaded the GOP-controlled Legislature to grant the power in 2015, but Schwab, who is not a lawyer, had planned to forward cases to Schmidt’s office or local prosecutors anyway. Schwab said he wants to concentrate on working with county officials on improving the administration of elections and to examining the security of data flowing into the office. Kobach, who lost the governor’s race to Democrat Laura Kelly, was the state’s most visible ally of President Donald Trump and served as vice chairman of Trump’s short-lived commission on voter fraud. He is the nation’s only state elections chief with prosecution powers. The voter ID laws Kobach championed prompted multiple legal challenges, and a federal judge in June struck down a requirement that new voters provide papers documenting their U.S. citizenship when registering. Officials from both major parties said they welcome Schwab’s plans to focus more on administrative issues. But Kansas Senate Minority Leader Anthony Hensley, a Topeka Democrat, said next year legislators need to tackle “the two biggest problems that we’ve had” with elections. Hensley wants to strip the secretary of state of the power to appoint election commissioners in Johnson, Sedgwick, Shawnee and Wyandotte counties and have the local county commissions appoint them. In the other 101 of the state’s 105 counties, the top elections official is an elected clerk; the four counties with appointed election chiefs together have almost half of the state’s 1.84 million registered voters. Schwab said he’s open to a change, such as having county officials nominate three finalists for the secretary of state to consider. But he is skeptical of Hensley’s second proposal to overhaul the state board that has for decades considered objections to candidates’ right to appear on the ballot. It’s the secretary of state, attorney general and lieutenant governor. Democrats were upset this year after several of their challenges were rejected by the all-GOP board. Hensley would have the governor and legislative leaders appoint five retired judges, ensuring a bipartisan group. “Those are topics that are ripe for discussion,” said House Majority Leader Don Hineman, a moderate Dighton Republican. 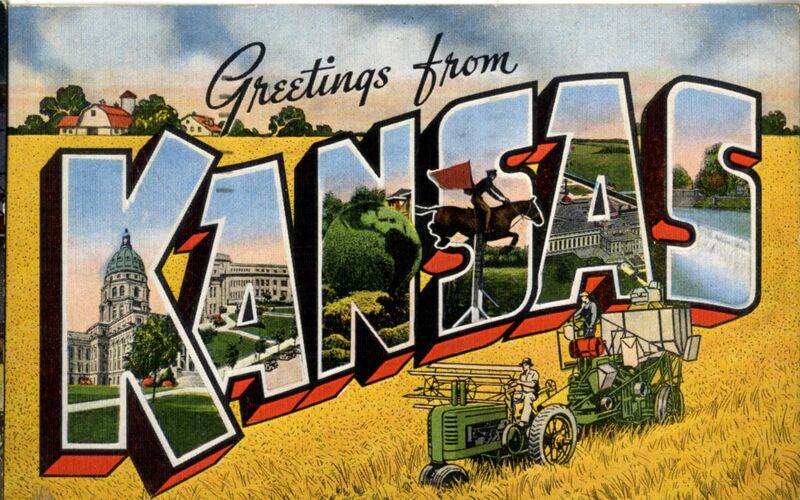 Be the first to comment on "Calm After the Storm: New Kansas SoS Seeks to Lower the Volume, Focus on “Nuts and Bolts”"